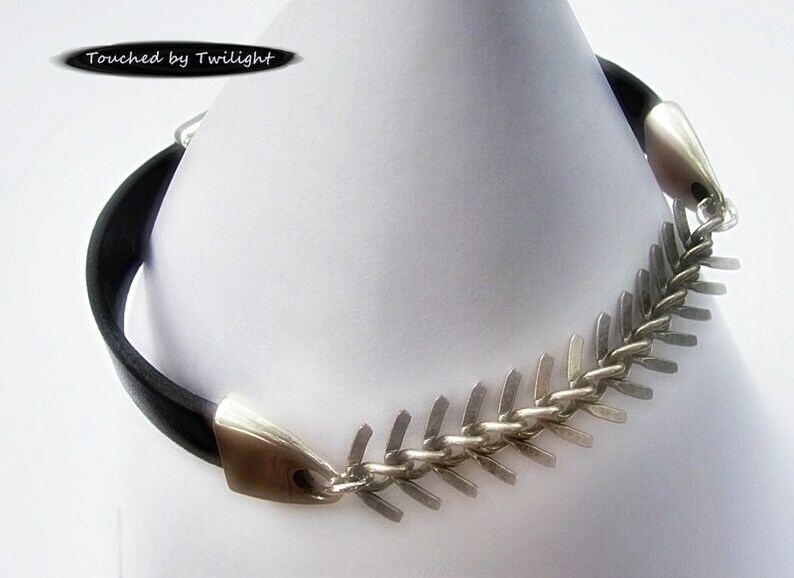 This simple, yet elegant, unisex bracelet is handcrafted from 10mm (3/8") wide flat chocolate brown genuine leather featuring a strip of antique silver fishbone chain. The closure is an antique silver magnetic clasp. 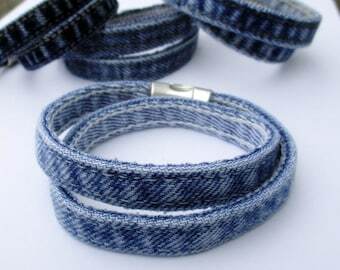 To wear: Simply place the bracelet on your wrist and let the magnetic closure snap together. To open the closure, just lift one end (from the side) as though you were opening a hinged box . . . The sizes shown are the inside diameter of the bracelet when closed. 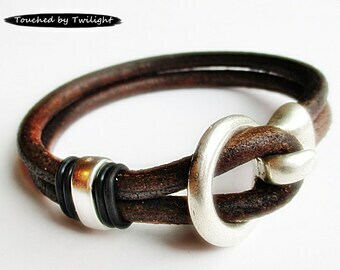 The closure holds the leather securely so this bracelet can be worn either loosely as a bangle or as a bit more snug cuff-type bracelet. How you plan to wear it will determine what size you should order. Your bracelet will be attractively packaged in a gauze drawstring bag and shipped in a sturdy shipping box.